David Beisel and Patoile on course in the final $25,000 Ariat Grand Prix of the 2008 HITS Ocala Winter Circuit at HITS Post Time Farm. OCALA, FL (February 17, 2011)—HITS is pleased to announce that Equine Stallion Services, for the fourth consecutive year, will once again be the title sponsor of the Leading Mare Award. 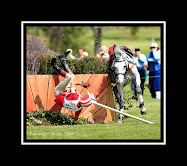 The award will be presented to the overall, highest-placing mare in the HITS Grand Prix competitions during the 2011 HITS Ocala Winter Circuit. The winner will be announced on Sunday, March 20 during the annual Antarès Parade of Champions and will receive a complimentary embryo transfer, fully funded and coordinated by the highly professional team at the Stallion Services department of the Equine Medical Center of Ocala. Sport horse mares normally are not available for breeding until they are retired from competition, at which time they are frequently at an age when they are unlikely to be able to get pregnant. According to Christine Miller, Manager of the Stallion Services Department, "It has become increasingly clear that the United States needs to improve its ability to breed and produce International-level prospects; a key step in the process is to use our best competition mares. Europeans have utilized embryo transfer for more than a decade, frequently getting multiple foals each year out of top mares without interrupting their competition schedule. Owners and trainers need to consider performing embryo transfers on their good mares while they are still fertile instead of waiting until they are too old or lame to compete, at which time they are also frequently subfertile." In 2010 the Leading Mare Award, sponsored by Equine Stallion Services, was won by Allison, who was ridden throughout the 2010 HITS Ocala Winter Circuit by Callan Solem. In 2009 the award was a tie between Paola, ridden by Kyle King, and Distant Star, ridden by Roberto Teran. 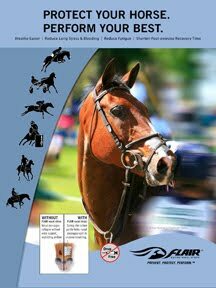 In 2008 the award was won by Patoile, ridden by David Beisel, after being the highest placing mare in the 2008 $100,000 Deluca Toyota Tundra Grand Prix, presented by Great American Insurance Group. For more information on the embryo transfer program at Equine Stallion Services please contact Christine Miller at 352.266.4669 or via e-mail EMCOStallionServices@yahoo.com. 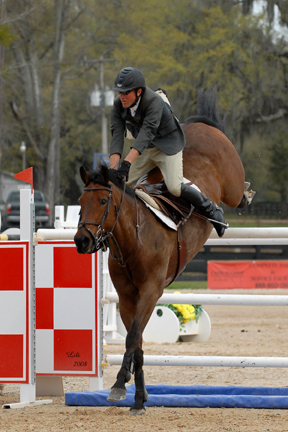 Show jumping continues this week at HITS Ocala and will be highlighted by the $25,000 SmartPak Grand Prix, presented by Pfizer Animal Health, on Thursday, February 17, the $50,000 HITS Grand Prix, presented by Pfizer Animal Health, and $10,000 Devoucoux Hunter Prix on Sunday, February 20. All Grand Prix and Devoucoux Hunter Prix events this season are qualifiers for the 2011 Pfizer $1 Million Grand Prix and inaugural Diamond Mills $500,000 3'3" Hunter Prix Final, respectively, which will take place September 10-11 at HITS-on-the-Hudson in Saugerties, New York.